Joint press release- Paris, December 4, 2017. This new impact investment fund, with a target of 100 million euros, aims at improving the lives of 2 million people and avoiding the emissions of up to 25 million tons of CO2 over a 20-year span. On 11 December 2017 in Paris, just before the International Climate Summit, these 8 companies will officially launch the new Livelihoods Carbon Fund. They will invite other companies and impact investors to join the momentum to reach the 100 million euros investment target as of 2018. The new Livelihoods Carbon Fund will start investing in ecosystem restoration, agroforestry and energy projects next year. Projects will be mainly implemented in developing countries in Africa, Asia and Latin America. The companies investing in this new fund have been committed in the first Livelihoods Carbon Fund since 2011. Now, they are aiming to increase the scale and the number of projects which fight climate change by restoring ecosystems which provide vital resources to the most vulnerable populations. Moreover, these projects will enable companies to voluntarily offset part of their CO2 emissions, in addition to their own efforts to reduce the carbon footprint of their activities. These companies are strongly motivated by the results achieved by the initial Livelihoods Carbon Fund: 1 million beneficiaries among the poorest in developing countries; 130 million trees planted, equivalent to 5 times the surface area of Paris; 120 000 families equipped with efficient cookstoves which mitigate deforestation and preserve women’s health; 10 million tons of CO2 to be sequestrated or avoided (projects span over 10 to 20 years). An overview of these projects is available p. 4. “The investment model of the Livelihoods Fund has proven that we can build large-scale projects connecting worlds seemingly far from each other: large companies acting against climate change and poor communities faced with the effects of climate change. The results we have achieved since 2011 encourage us to move forward by building on our learnings. This new fund offers an interesting platform to investors who want to have a real impact on climate”, says Bernard Giraud, president and cofounder of Livelihoods. The Livelihoods Carbon Funds are built on an innovative business model where investors mutualize investment risks to finance large-scale projects. They do not receive financial dividends but carbon credits with high social and environmental value delivered by the best international standards*. The return on investment is therefore based on measurable social and climate impact. The success of Livelihoods Funds’ projects is based on the cooperation between private investors, civil society and public institutions. Projects financed by the funds are co-designed with NGOs which also implement them by making the beneficiaries the first actors of change. The carbon credits generated by Livelihoods projects are certified by the Gold Standard (created by WWF) and VCS (Verified Carbon Standard). This certification guarantees that the climate impact of a project has been rigorously measured, according to internationally recognized methodologies, and that the project contributes to improve the daily lives of local communities. One of the main principles of this certification is “additionality”, which implies that the climate impact of the project is directly linked to actions which have been implemented and would not have occurred without them. Read more about the certification of carbon credits. 12 companies have invested in Livelihoods Funds so far: Crédit Agricole SA, Danone, Firmenich, Hermès, Groupe Caisse des Dépôts, La Poste, Mars Inc., Michelin, SAP, Schneider Electric, Veolia and Voyageurs du Monde. Livelihoods Funds are support by: the French Development Agency (AFD), the French Facility for Global Environment (FFEM), the International Union for Conservation of Nature (IUCN), the InterAmerican Development Bank (IDB), the Ramsar Convention and the World Agroforestry Center (ICRAF). 150 million euros of financing out of the 5 billion euros planned by 2020 through specialist fund management companies. As a long-standing partner of Livelihoods since 2011, Crédit Agricole continues and reinforces its commitment within the fund. “Danone announced the ambition to become fully carbon neutral by 2050, in resonance with its One Planet. One Health strategic vision. 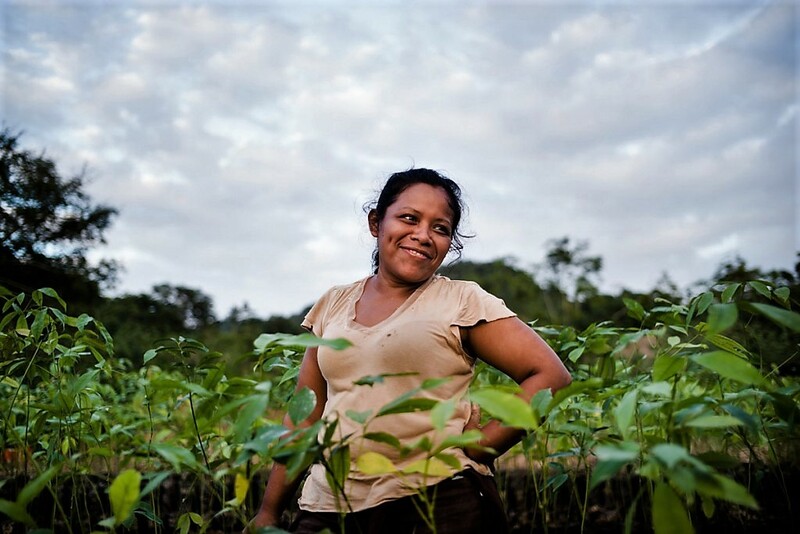 The first Livelihoods Carbon Fund has successfully been supporting this objective, developing climate positive solutions while restoring ecosystems and providing social benefits to local communities. It is thus with great enthusiasm that we support today the creation of this second fund to continue co-creating solutions for a decarbonized economy”, explains Cécile Cabanis, Danone’s Executive Vice President, CFO, IS/IT, Procurement & Cycles. Since Hermès was founded in Paris in 1837, six generations of passionate entrepreneurs and artisans have passed on to their heirs a culture of beautiful materials and exquisite craftsmanship, a love of objects made to last, and a permanent quest for innovation. Hermès is managed by Axel Dumas, CEO since 2013, with Pierre-Alexis Dumas as its Artistic Director, both of whom are sixth-generation members of the founding family. These values of craftsmanship permeate the entire company and form the basis of the Group’s ambition in the field of sustainable development. Hermès is strongly committed to respecting nature, the source of its exceptional materials and the setting of its production sites, and endeavours to be a responsible corporate citizen everywhere that it operates. Hermès employs over 13,000 people around the world, including 8,000 in France. More than 5,000 artisans work at the Group’s 50 production sites. “In connection with its artisanal roots, Hermès wanted to be involved in this ambitious project which is designed for the long term. We are delighted to see the concrete results that are transforming the daily lives of the communities concerned, confirming the relevance of this initiative. We are working with our partners in a spirit of friendly and committed collaboration that we will continue to develop by joining the new Livelihoods Fund,” explains Axel Dumas, Executive Chairman of Hermès. SAP is the world’s largest provider of enterprise application software. 76% of the world’s transactions are touched by an SAP system. SAP’s vision and purpose is to help the world run better and improve people’s lives. Our solutions enable our over 365.000 customers to contribute to the UN Sustainable Development Goals. We aim to lead by example: In 2009, SAP has set itself an ambitious target to reduce emissions back to levels of 2000 by 2020, despite significant company growth. Initiatives include: LEED certifications for buildings, carpooling solution SAP TwoGo, carbon neutral train travel in Germany, investment in Livelihoods Fund (2013), introduction of green cloud / 100% renewable electricity for data centers and facilities, commitment to 20% e-cars in ﬂeet by 2020, green events through 100% renewable energy, leasing bicycles, 50 sites ISO 140001 certiﬁed, carbon pricing for business ﬂights, carbon neutral fuel card, commitment to set Science Based Targets for 2050. Goal: carbon neutrality by 2025. See Infographic . « We are very proud to be partner of the new Livelihoods carbon fund. It is another step in our contribution to build a more sustainable world and it is totally consistent with the SDGs reducing carbon emissions while improving livelihood conditions and development in emerging countries”, Gilles Vermot Desroches, Chief Sustainability Officer, Schneider Electric. Voyageurs du Monde is a French group of tour operators that sells its products through three bespoke holiday brands – Voyageurs du Monde, Comptoir des Voyages, and Uniktours- and a collection of nature and adventure holiday brands- Terres d’Aventure, Allibert Trekking, Nomade Aventure and Chamina Voyages. The group employs more than 1300 people from 40 different countries. In 2016, it reported a turnover of €379 million. Voyageurs du Monde set up the Insolites Batisseurs association to combat climate change and poverty. Insolites Batisseurs is committed to the conservation of our forests and to the economic development of poorer countries, and encourages the tourism industry to embrace these values. In recognition of the industry’s need to offset carbon emissions, Insolites Batisseurs has invested in the Livelihoods Fund. The objective today is to continue this carbon offsetting program through the second Livelihoods Fund. “This decision was taken on the basis of Livelihoods’ excellent carbon offset strategy and the diversity of its funding projects, which mutualizes the risk. Furthermore, Insolites Batisseurs can offer every project it supports its tourism expertise to help develop local economies,” said Lionel Habasque, Managing Director of Voyageurs du Monde and President of the Insolites Batisseurs association.